This is neat: Johnny Depp is in discussions to join Edgar Wright’s adaptation of Neil Gaiman’s children’s book Fortunately, The Milk. 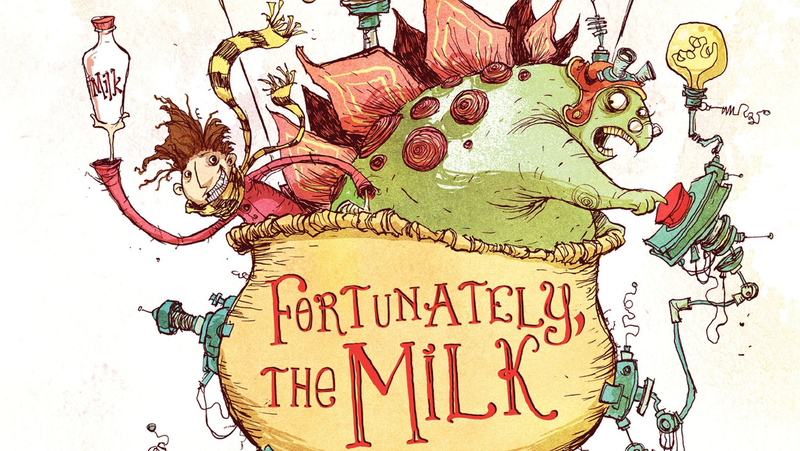 Written by Gaiman and illustrated by Skottie Young, the short book follows a brother and sister as they discover that their house is missing milk. When their father goes out and returns, his story gets wilder and wilder, involving aliens, pirates, ponies, wumpires, dinosaurs, time travel, adventure and more. Bret Mackenzie of Flight of the Concords is penning the script, and Wright is in negotiations to direct. The film will reportedly be a mix of live-action and animation. The combination of Neil Gaiman, Edgar Wright and Johnny Depp is an exciting one: it’ll certainly be a whimsical and entertaining affair.